We run a store "op.00302" at nisinippori-tokyo. If you have interests,please see our blog! I checked your blog! 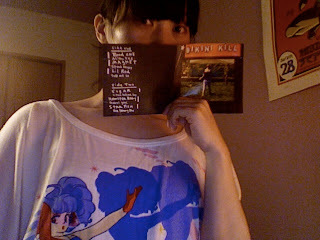 ( nice Blog! ) so I haven't make any of our original zine yet, but we do distribute our friends zines to sell our live shows! If you interested in people who making zines I recommend irregular rhythm asylum and lilmag you can find many people who making zine there! I'd love to visit your store someday!